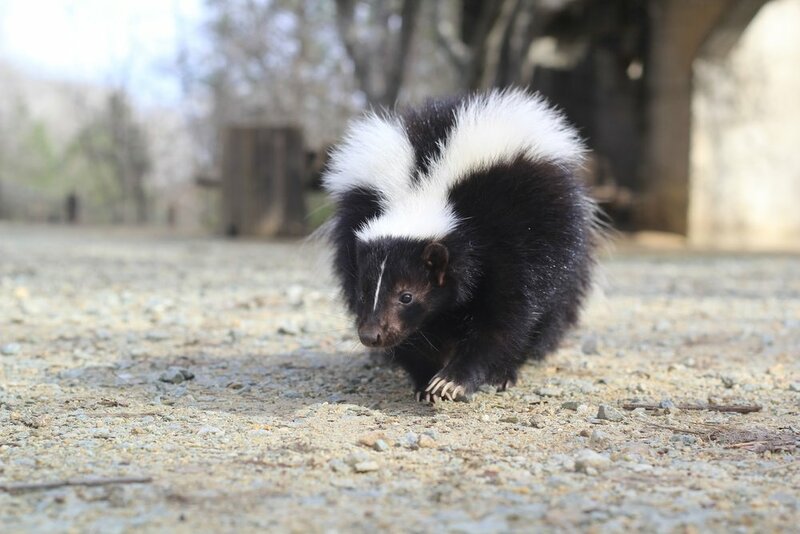 It’s a myth that if you see a skunk out during the day, it has rabies. 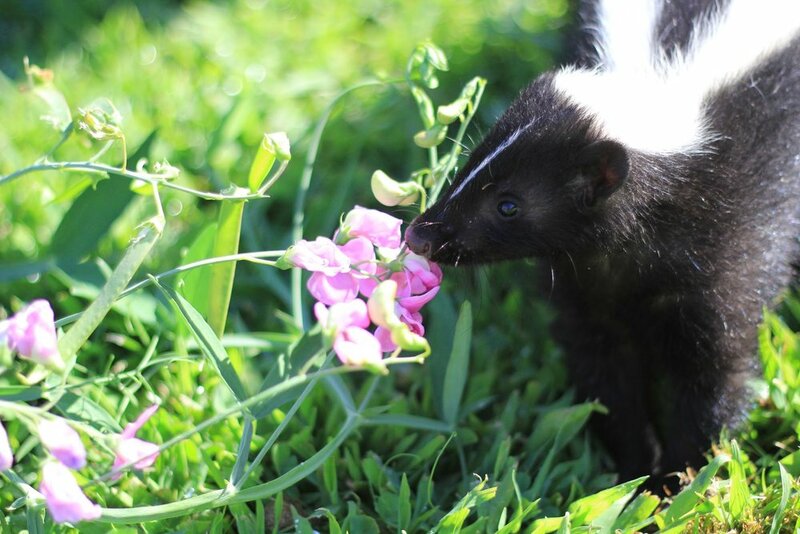 Sometimes on nice winter days, skunks like to go around searching for food, grub, and insects to eat. Sweetpea came to Turtle Bay Exploration Park when she was just a couple weeks old. She was found in Shingletown on somebody’s driveway. When she was found she was emaciated and dehydrated. 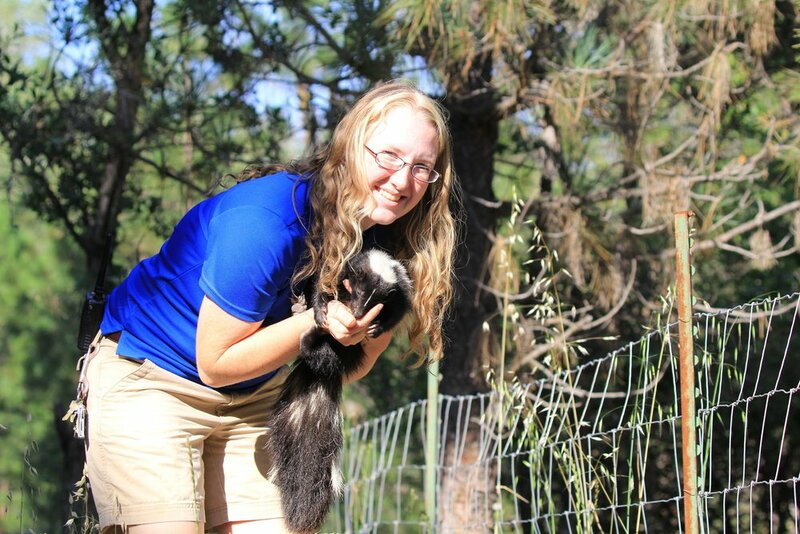 The people that found Sweetpea brought her to a skunk rehabber and after a couple of weeks of being with the rehabber, they realized that there was something wrong. Sweetpea has a neurological deficit and cannot survive on her own in the wild. She will live the rest of her days out here in Turtle Bay. You can see Sweetpea in action within our animal programs at Turtle Bay, including our Walk on the Wild Side Animal Show or one of our many Winter programs.